SEATTLE — Five games into the season, Seattle manager Scott Servais had a message for Mariners fans: Don’t go to sleep. 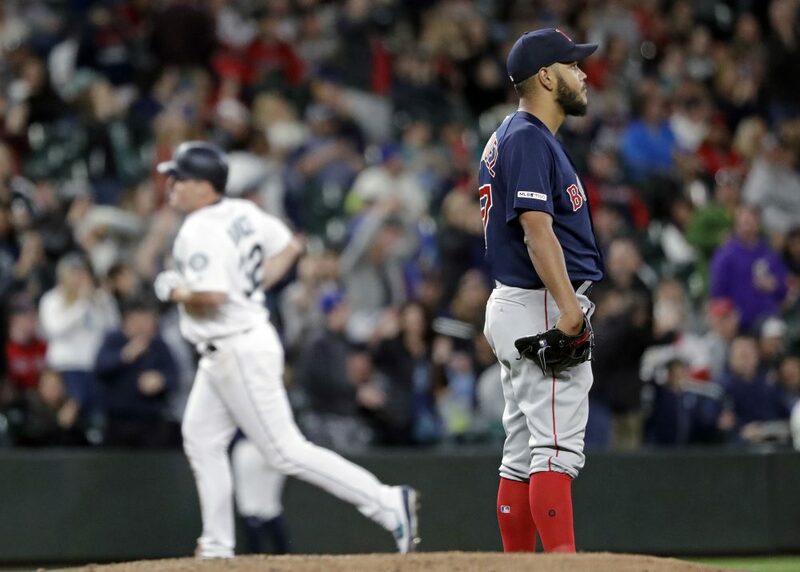 Seattle seemed on its way to an easy victory until Boston scored three times in the ninth thanks to Moore, who committed two throwing errors and one fielding error – all with two outs. With the tying run at third base after the third of Moore’s errors, Nick Rumbelow struck out Bogaerts looking for his first save. Bogaerts struck out twice with four runners left on base. Mariners closer Hunter Strickland was placed on the 10-day injured list with a right lat strain following a blown save in Friday’s 7-6 loss. The right-hander experienced stiffness in the back of his shoulder before giving up a three-run pinch-hit home run to Moreland in the ninth inning. While Strickland’s status is uncertain, the Mariners brought up RHP David McKay and could get help as soon as next week with the return of right-handed reliever Anthony Swarzak, who completed a minor league appearance on Friday night. … RHP Shawn Armstrong will throw 25 pitches from the mound for the first time Sunday since straining his oblique. … The Mariners moved third baseman Kyle Seager to the 60-day injured list. Seager is recovering from hand surgery after injuring himself diving for a ball in spring training.